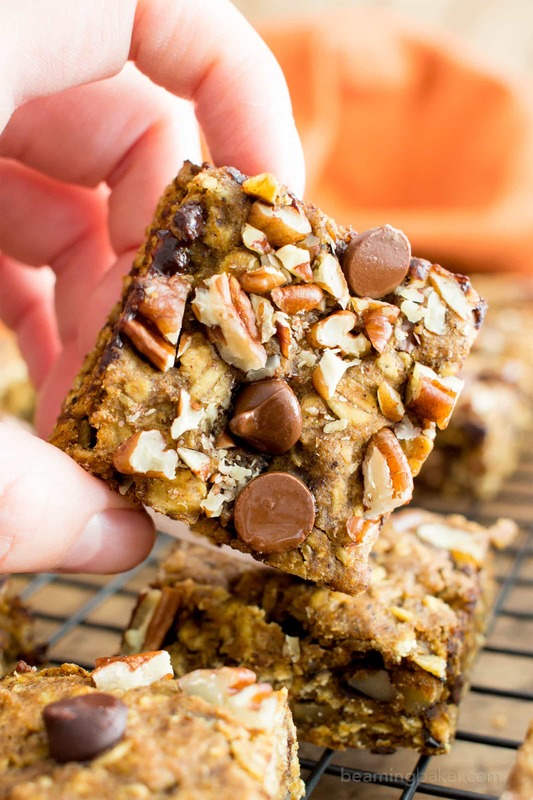 Gluten Free Pumpkin Chocolate Chip Oatmeal Breakfast Bars (V, GF): a healthy fall recipe for oatmeal breakfast bars bursting with pumpkin spice, walnuts and chocolate chips. 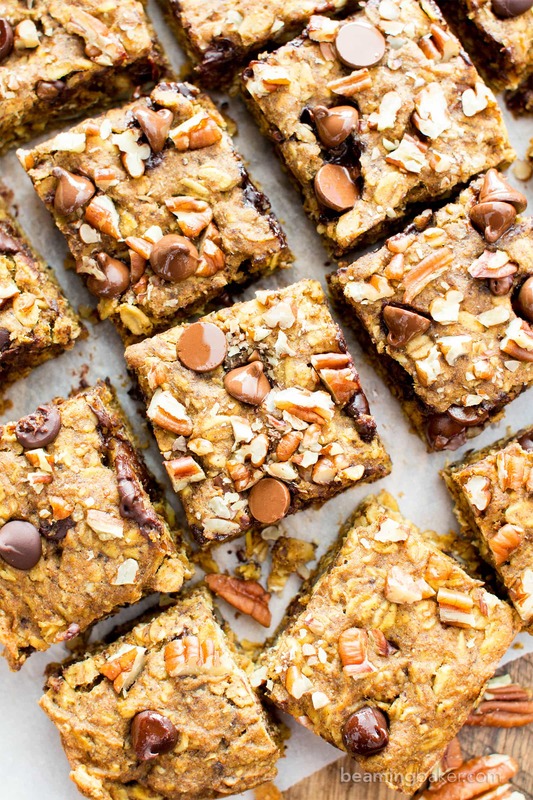 Vegan, Gluten-Free, Dairy-Free, Healthy, Refined Sugar-Free. Is it finally getting brisk where you live? Are the leaves turning different shades of red, orange and brown? Have you just dusted off your favorite fall boots and unearthed the cute and chunky knit-scarf your mom made you last year? If you have, then fall is finally here! There’s just something so cozy, warm and comforting about fall. It’s like a nice big bear hug from your favorite person… but in the form of thick sweaters and warm apple crisps. When I was a kid, my favorite part of fall (besides all the dark chocolate almond clusters and pumpkin coffee cake, of course) was knowing that breakfasts were gonna start becoming really tasty. If us kids were good, my mom would make sure we had an extra special treat for breakfast. Sometimes that extra special treat was pumpkin bread, sometimes it was our favorite maple pecan pumpkin muffins, and sometimes it was going out for breakfast. There was just something special about this time of year. I still feel that way once the end of September and the beginning of October starts coming around. This year, and every year, I make sure there are homemade seasonal treats ready to go for breakfast for Erik and me. This year, we were fortunate enough to move closer to my mom, so we’ve been making extra efforts to drop off breakfast treats made with pumpkin, maple and apples for my momma (and Jenny and Kai and PB, of course!). Did I tell you, my sister Jenny called me while walking by our apartment a few weeks ago, on her way to pick up her kiddo from daycare? I just so happened to have made a super fresh, piping hot batch of paleo apple crisp for her. It was on my to-do list for ages! But the thing is, I had to make it and give it to her right away (you know how apple crisp is—the first day is the BEST). Anyway, I was so excited that she just happened to be walking by (especially right after I finished making the crisp). It was literally cooling off when she called. 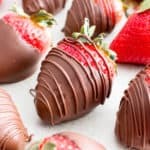 Erik and I had planned to drop it off after work, but I worried that she wouldn’t be able to have that first, fresh and heavenly bite. But there she was! Sometimes, I think members of my family have a sixth sense about these food-related things. 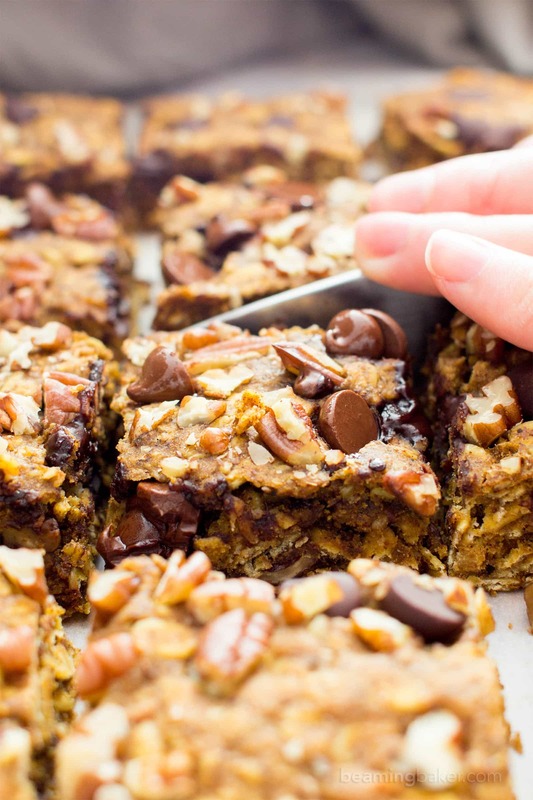 Meanwhile, a week ago, I got the chance to make these Gluten Free Pumpkin Chocolate Chip Oatmeal Breakfast Bars for my mom and sis. It felt really good to hand wonderfully mysterious boxes over to my mom and go, SURPRISE!! A yummy holiday treat!! You should’ve seen her smile when she opened up those boxes (I may or may not have included some homemade paleo granola, easy vegan gluten free pumpkin muffins, and chocolate pumpkin bread). What’s your favorite memory of a home-baked treat during fall? 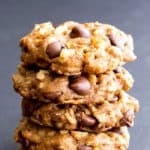 Gluten Free Pumpkin Chocolate Chip Oatmeal Breakfast Bars (V, GF): a healthy fall recipe for oatmeal breakfast bars bursting with pumpkin spice flavor, walnuts and chocolate chips. 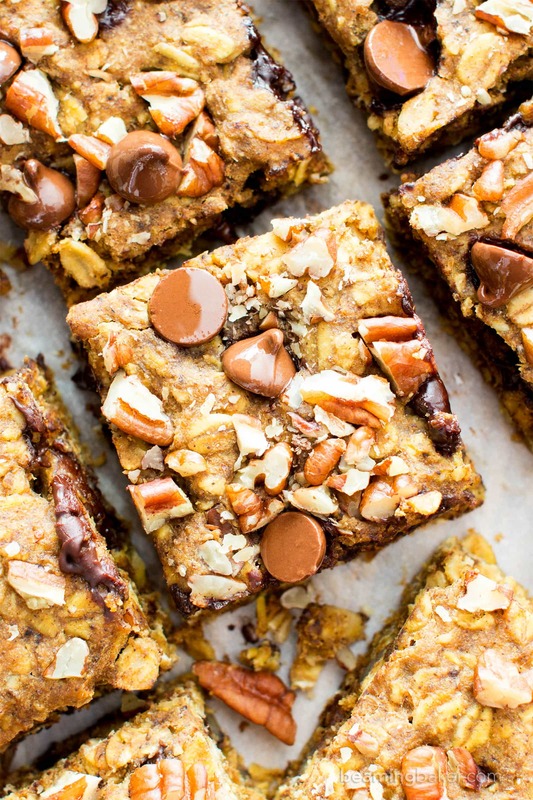 Vegan, Gluten-Free, Dairy-Free, Healthy, Refined Sugar-Free. Bake for 20-30 minutes, until the edges have browned. Mine took 25 minutes. Allow to cool on a cooling rack for about 1 hour, or until completely cool. Lift out, slice and enjoy! Storing instructions below. 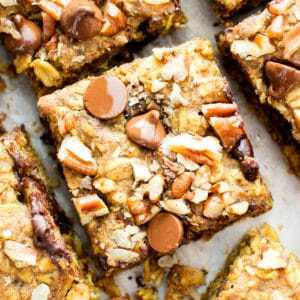 - Adapted from my One Bowl Gluten Free Vegan Pumpkin Bread and my Peanut Butter Chocolate Chip Oatmeal Breakfast Bars. - *You may replace these spices with 1 teaspoon pumpkin pie spice. - Freezing instructions: store in an airtight, freezer-friendly container in the freezer for up to 1 month. Allow to thaw for 10-15 minutes before enjoying; or heat in the microwave in 10-second increments until warm. 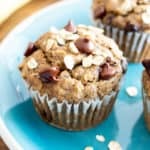 - More plant-based, allergy-friendly Pumpkin recipes: pumpkin chocolate chip muffins, chocolate pumpkin bread, pumpkin pie smoothie. I love that you can now share these with you mom. What a special memory! I bet she loved them! 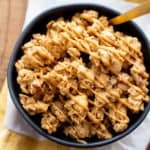 Can I replace the flax egg with a normal egg in this recipe?? I bet your mum loved getting that box full of delicious treats – I know I would! I bet your mum loved these! I’ve been looking for healthy treats and I’m sure gonna try them! It was love at first bite! 🙂 Can’t wait to hear what you think, Richa! 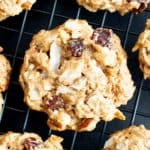 If these make it ok to have chocolate and oatmeal for breakfast, I am ALL over this! 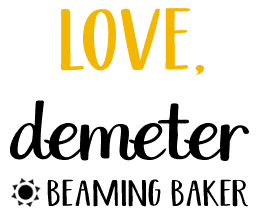 Demeter I just love your work! From your recipes to your videos and photography! Just wanted to share! 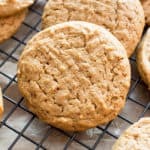 Can I use almond flour instead of oat flour? 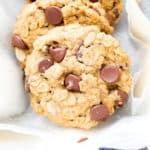 Hi Lauralee, I’m not 100% sure about the results, since I’ve never tried making these with almond flour. Oat flour is much more absorbent than almond flour, so if you do try, make sure to increase the amount by at least 1/4 cup. Good luck! Do you know the nutritional info on these? Hi! This is the third recipe I’ve made from your website – everything is SO good! I don’t do oil so I swapped that out for 1 T of applesauce and 1 T of raw almond butter. Not sure how it is compared to the original, but it tastes awesome! Hi Angie! I’m so happy to hear that your enjoying making your way through the site. 🙂 Such a genius move to swap the oil out for applesauce and almond butter–I’ll have to try that some time. 🙂 I can’t wait to see what you try next! Everything else was the same, baked for 23 minutes. Hi Sarah! Thanks for taking the time to list out your substitutions. 🙂 I’ve GOT to try these with avocado oil! I know many readers will appreciate this. Happy baking! Looks amazing! Can’t wait to try these ???? Woohoo! Hope you enjoy them Emily! I’m sorry if this is a dumb question, but I’m new to using coconut oil in baking recipes and was wondering if the 2 Tbsp is measured in melted form or solid form then melt it prior to adding to the recipe? Hi Valerie! There’s absolutely no such thing as a dumb question. 🙂 I measure the coconut oil as a solid, then melt it and add it to the recipe. Happy baking! 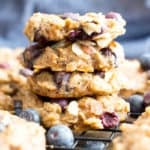 My son is 10 months old and hates the texture of oatmeal so I always trying to find healthy oat breakfast bars he can eat. 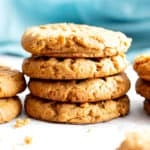 I am wondering if these could be made with just the maple syrup no sugar, or if dates could be added( possibly applesauce blended with dates) to make sweeter but not too sweet. I think id also leave out chocolate chips for him. 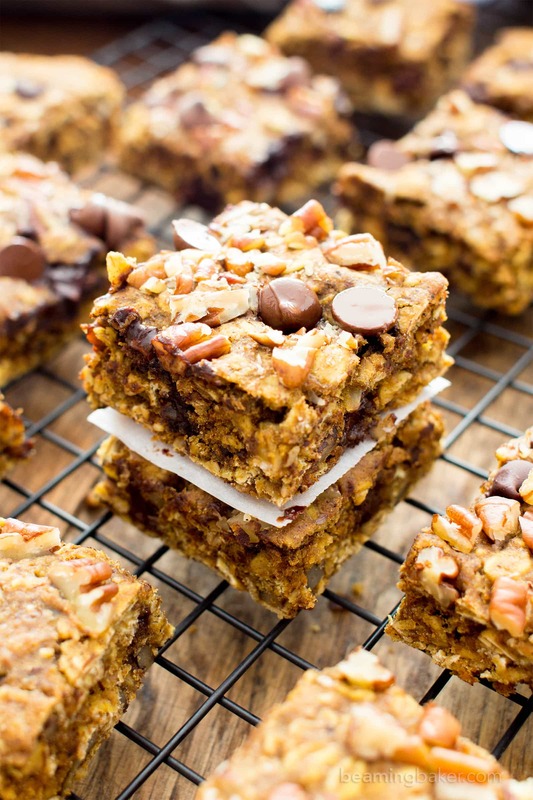 These sound so yummy and I love the idea of having pumpkin in an oat bar. Hi Jackie! In terms of the oat flout, you can sub it with GF all purpose flour. As for the oats, I’m not sure but you might try a mix of coconut and quinoa. I’m not sure about the amounts, since each of these ingredients absorbs the wet mixture very differently than oats. Good luck and let me know how it turns out! Hi Elizabeth! That’s so wonderful to hear! I’m truly so pleased that you’re enjoying my recipes. 🙂 Happy baking! 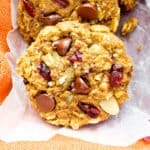 Can I use Casavaa flour instead of the oat flour? Love all your recipes by the way. I just recently started following you. So glad I found you! Hi Carolina! I’m not sure… I’m planning to learn more about & experiment with cassava this year. Not the answer you were looking for, but I’m working on it. 😉 I’m so glad to have you!! Sorry I couldn’t be of more help. Hugs!